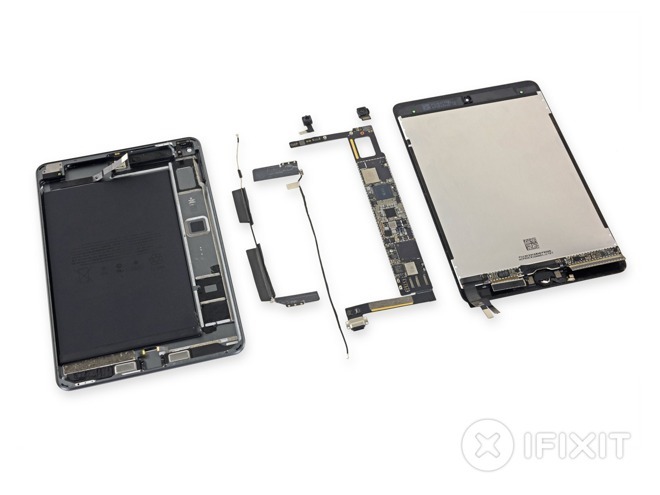 While it looks roughly the same on the outside, the iPad mini 5 does bring numerous important upgrades on the inside, and a new teardown by iFixit reveals exactly what Apple has changed compared to the 2015 model. Unsurprisingly, the new iPad mini is not a whole lot different to its predecessor, physically. iFixit notes that the only exterior clue that distinguishes the new iPad mini from the earlier model is its model number, A2133, and the removal of regulatory markings on the back, which can now be found in software. But there are plenty of new chips and components under the hood. According to the breakdown, the new mini boasts an 8-megapixel rear camera and uses the same 7-megapixel ƒ/2.2 front-facing camera setup as used in the 10.5-inch iPad Pro. Other new components include a faster A12 Bionic processor, 3GB of RAM (up from 2GB), True Tone sensors, microphones near the front-facing camera, and a 19.32 Wh battery that matches the rating of the previous battery, is of a different type. The mini features two speakers providing stereo sound, Bluetooth 5.0, dual mics, Wi-Fi 802.11ac, and Gigabit LTE and eSIM on cellular models. iFixit‘s teardown also noted that the microphones were moved closer to the selfie cam, and the battery has the same capacity as on the previous model (though it looks to be a different model). As far as repairability goes, it doesn’t look good. While iFixit does note that a single Philips screwdriver is all it takes to remove the screws on the iPad Mini, things go quickly downhill after that. “Many components are modular and can be replaced independently, but the Lightning port is soldered to the logic board,” iFixit‘s negatives started with, moving on to noting how the battery replacement is “unnecessarily difficult”. 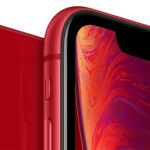 Removing the home button, a part that can fail more commonly than other bits, is a particular pain in the posterior according to the gadget-gutters, as it would also require the display to be replaced. “Gobs of adhesive hold many parts and cables in place, complicating all repairs,” iFixit added. Overall, the iPad mini 5 is still horribly hard to repair, with many parts stuck to other parts with tons of glue. One thing you may be able to replace if you’re very, very crafty is the battery, but iFixit says the process is “unnecessarily difficult.” Overall, the iPad mini scored a 2/10 in repairability. 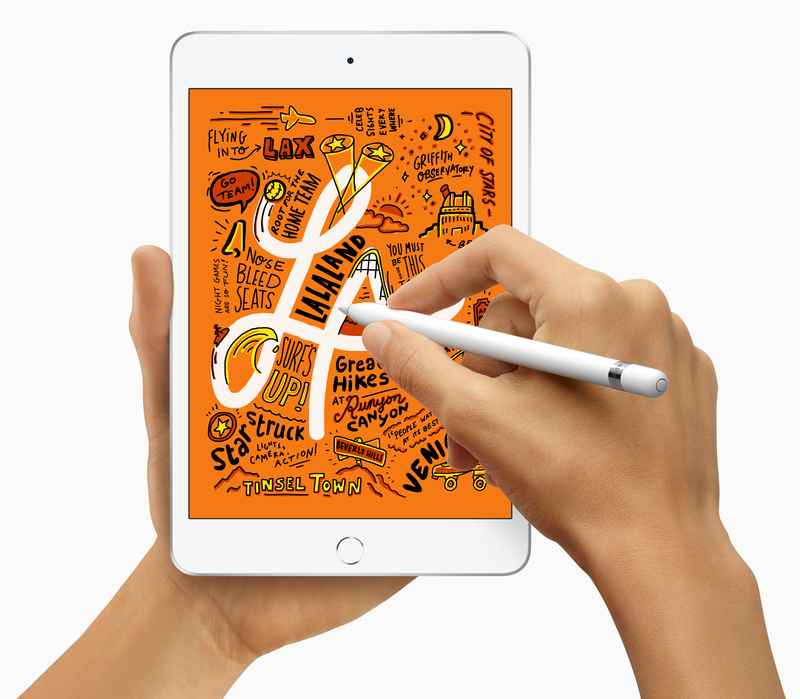 Apple Canada sells the new iPad mini starting at $529.